AWAKEN THE REBEL is a real talk, in your face, hilarious dose of wisdom & practical advice on how to live the life of freedom you desire & be your best self. 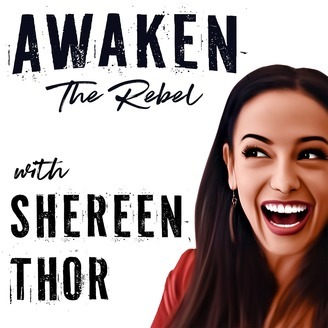 Comedian turned Life Coach Shereen Thor will help you break the rules, and bust through old paradigms that hold you back so that you can live an extraordinary life by your design. 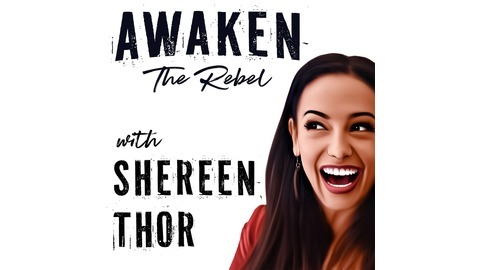 From real life practical advice, to philosophy, spirituality, entrepreneurship, relationships and life purpose - whether you are listening while commuting, jogging, or strolling AWAKEN THE REBEL with Shereen Thor is sure to leave you entertained, enlightened and inspired. We discuss her story of going from dancer to spiritual mentor to storytelling specialist. She is an expert at taking off the mask, getting out of your head and getting into your heart. 10: Election Chaos Hurts, Literally.